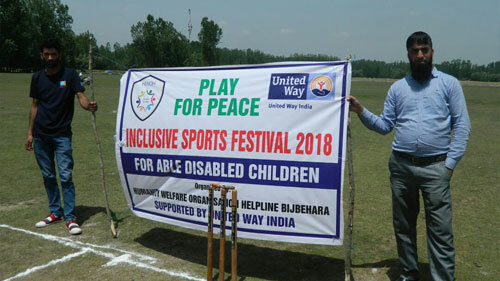 A high level sports programme under theme ‘Play for Peace’ was organised by Humanity Welfare Organisation Helpline at Zablipora play ground on 16th May 2018. 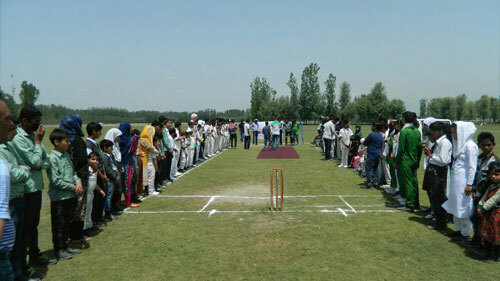 Around 130 children of different age groups participated in the programme. 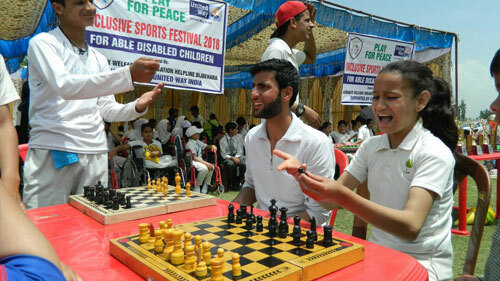 The sports programme being inclusive – able and disable together gave platform to disable and non disable children from district Anantnag to play together. 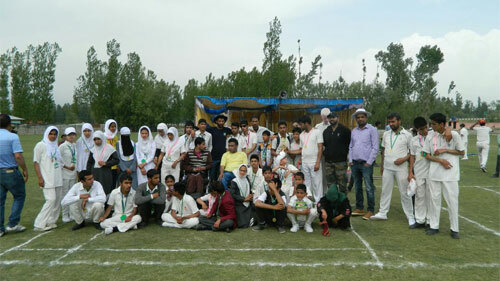 The programme was inaugrated by Mr.Abdul Gani Bhat, Zonal Education Officer, Bijbehara. 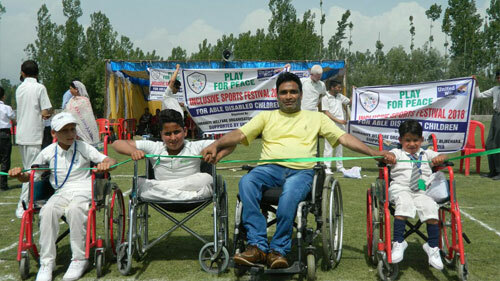 Both children with and without disabilities performed well. 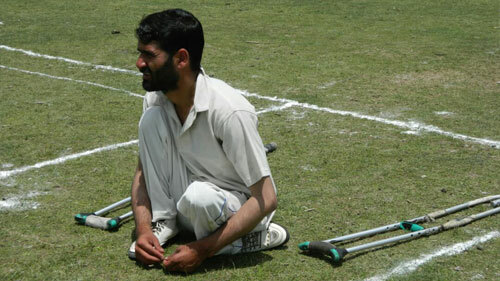 It was seen that while playing there was no difference between disable and non disable children. 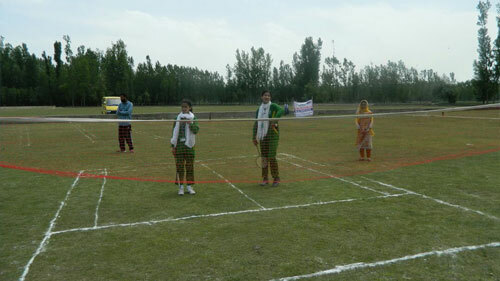 All children were happily playing in a jolly atmosphere. 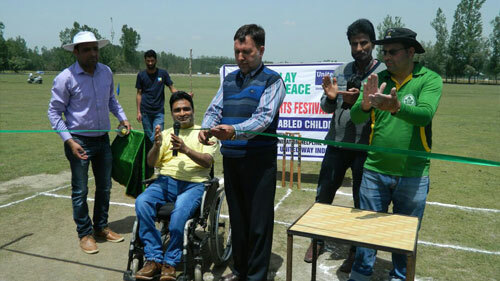 Speaking on the occasion chairman Humanity Welfare Organisation Helpline highlighted the aims and objectives of the sports festival. 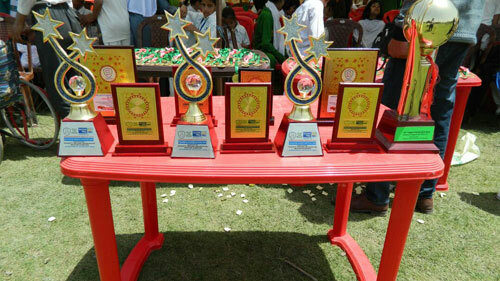 He mentioned that "all children have their own personality in itself and hold capacity to compete at all levels. 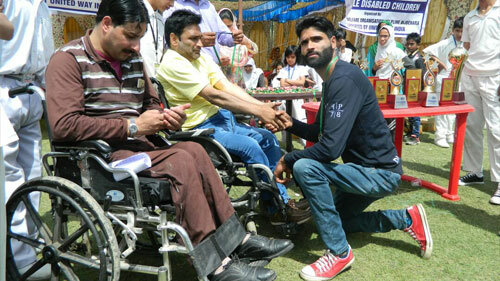 Disability is not a hurdle in development of persons with disabilities. 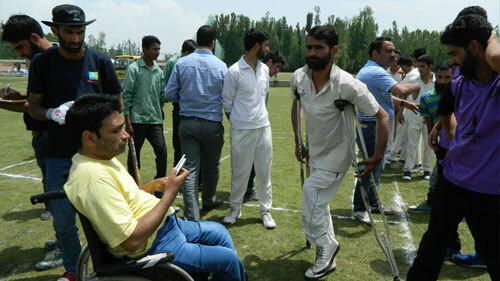 Persons with disabilities can compete in all competitions subjected they are given the platform to perform. 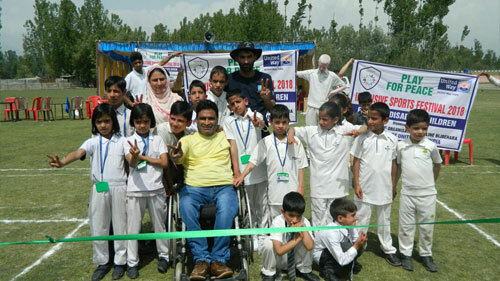 The unnecessary labeling and sterotypes attached to persons with disabilities is the main barrier that keeps persons with disabilities away from society. We need to bring attitudinal changes among the masses so that persons with disabilities are included and not excluded". 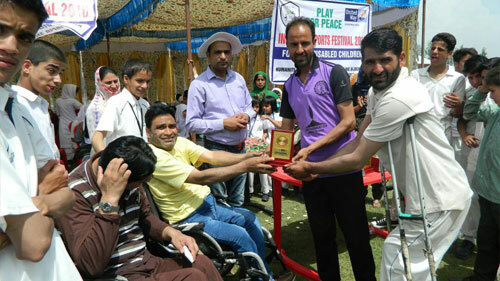 While encouraging the participants with disabilities Zonal Education Planning officer Bijbehara congratulated and thanked the organizers and acknowledged that sports events organized for children with disabilities is not an ordinary activity. 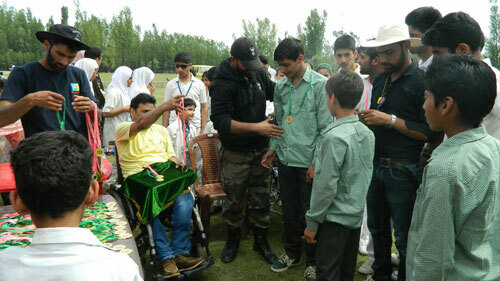 It is highly appreciated and only bold and brave individuals in society can initiate these programmes. 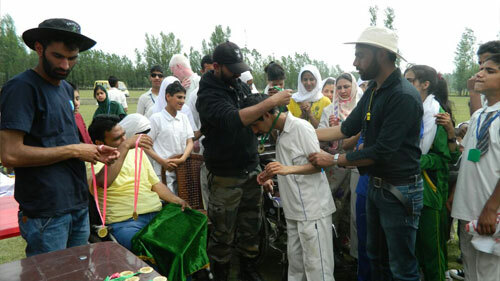 Zone Bijbehara will support these programmes in future he added. 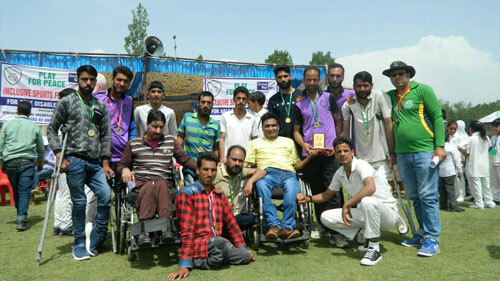 The inaugural function was followed by a friendly cricket match between locomotor disable and deaf and mute cricketers. 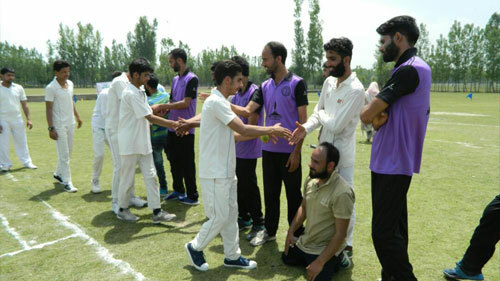 The locomotor disable team under name friends 11 won the toss and opted for batting. The team made 98 runs. 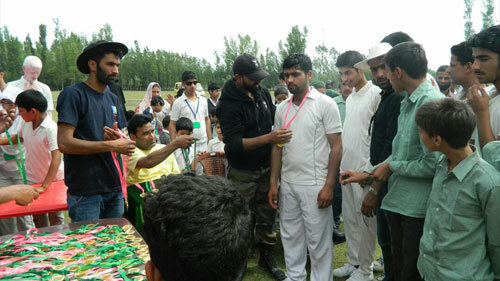 Team Helpline Tigers was Deaf and mute cricket team won the match by 3 wickets. 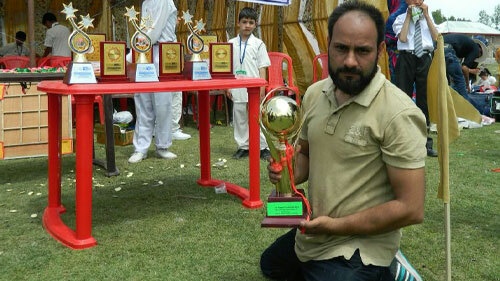 Arif from government middle school bijbehara was declared as man of the match. He made 44 runs. 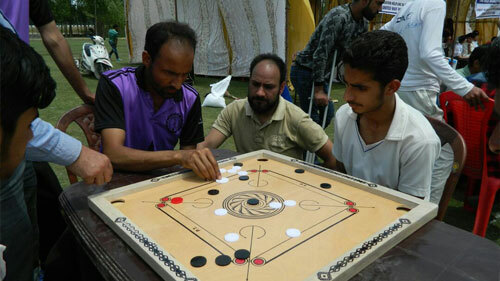 Carrom match was won by orthopedic disable participant Mudasir Ahmad. 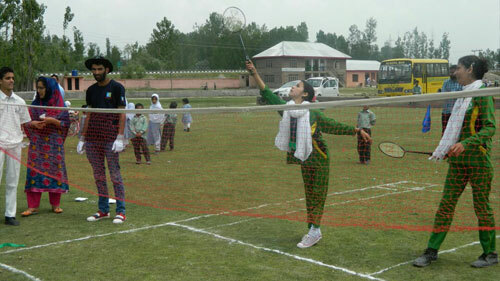 Bisma Muzaffar a deaf girl won the badminton match. 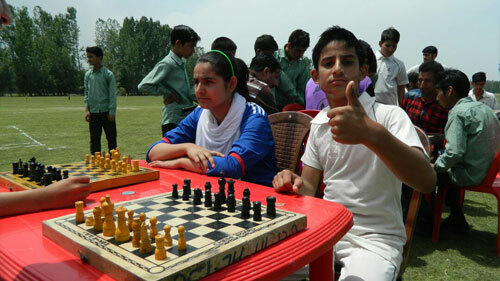 While as another deaf and mute girl from Zaiba Aapa Institute of Inclusive Education won the chess competition. 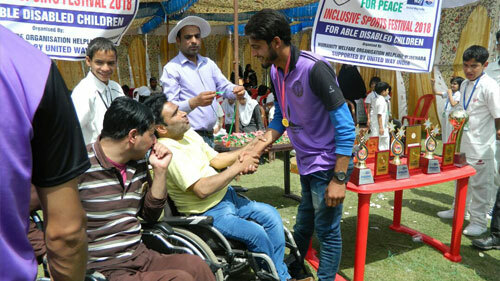 Arif Adhraf deaf and dumb boy was declared 1st in 50 metre race. 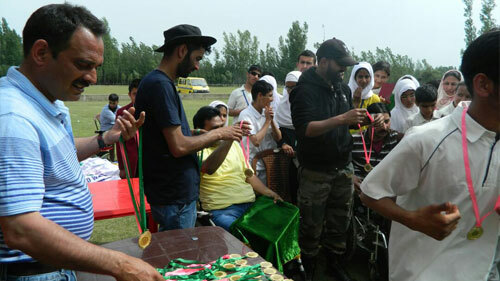 Tahzeeba Jan, a blind girl, won musical chair competition and was declared 1st in 50 metre race among blind participants. 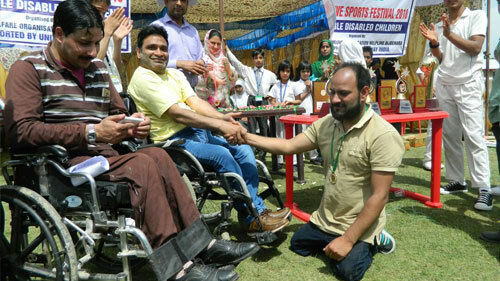 Danish Ahmad, a wheelchair user child, won the 50 metre race competion. 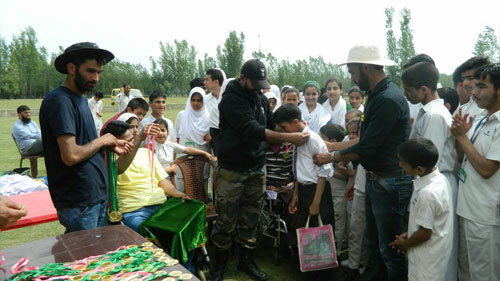 The performance of children of Zaiba Aapa Institute was highly appreciated.